Heading to Walt Disney World alone? Take it from someone who has taken two solo trips to Walt Disney World, it isn’t as scary as it sounds. I think you will find that going to Walt Disney World alone can actually be one of the best trips you will ever have. Today, let’s answer the question: What to do when going to Disney World alone? Going to Disney World alone doesn’t have to feel lonely. I admit that when I have gone on a solo trip to Walt Disney World, the first day I feel a little “out of sorts”. However, I quickly find my stride and tend to enjoy these trips as some of the best vacations/business trips I have ever had. I have traveled several times solo to Disney. Both Walt Disney World and Disneyland. I even moved to Walt Disney World once. Okay, not exactly to Walt Disney World but I am a Disney College Program Alumni. Trip after trip, I have come to figure out how to really enjoy a solo trip to Walt Disney World. What to do when going to Disney World alone? 1.) Take the Photos No One Has Time For – This is my number one suggestion. As someone who loves photography, there is nowhere like Walt Disney World to photograph. We miss so much when we’re hustling with a group. Take this time to slow down and capture every inch of detail that Disney has to offer. Get photos with characters too! 2.) Eat it All – This is the time to indulge. Paying for everyone to have that scrumptious candy apple can get pricey. Now is the time to take advantage of enjoying the foods that Walt Disney World has to offer. Sure, you might come home a few pounds heavier, but it’s worth it. 3.) Shop ’till You Drop – Trying to shop with the kids or anyone else in a hurry at the Parks? Forget it. When you’re alone though, you have the time to browse. Bring the empty suitcase. 4.) Resort Hop – Have you ever wanted to explore The Grand Floridian? Now is your chance! Hop the monorail or a resort bus from one of the Parks to check out some of the great things different resorts have to offer. Explore the shops, book a spa package or enjoy a drink at one of the lounges located at various resorts. Need ideas for activities while staying on property? Here are 10 Things to Do at Walt Disney World Resort Hotels. 5.) People Watch – This might sound silly, but I love to people watch at Disney. When I lived in Orlando as a Walt Disney World Cast Member, I’d spend my days off sitting on a bench at the Magic Kingdom. I’d enjoy the warm sun and hearing the sounds of the Parks. I would also frequent Boardwalk to sit and listen to the Friendship Boats entering and departing the harbor. 6.) Meet People From Around the World – Head to World Showcase in EPCOT. Take some time to talk to some of the Cast Members in each of the countries. These Cast Members are from their hosted country in World Showcase with amazing stories to tell. I’m sure most would love to strike up a conversation about their homes. 7.) Ride Every Ride You Want…Several Times – Yes. I recommend it. I love Thunder Mountain. Like, really, really love it. Hello, single rider line! You bet I’m riding it ten times in a row. 8.) Meetups – Tired of being alone? Check before you leave if anyone you’ve been chatting within the community is going to be in the area. Meetup. It is always fun meeting friends at Disney. 9.) Pin Trading – I know there are many types of trading goodies now, but I still love my Pin Trading. If you do too, check and see if there are any Pin Trading events going on at Pin Central locations. Occasionally, pin traders bring their collections to set out and trade with others. 10.) Travel the Road Less Taken – Hop on the ferry to the Magic Kingdom from the Ticket and Transportation Center. Take a Friendship Boat from International Gateway in EPCOT to Boardwalk. These are great ways to see other sides of Walt Disney World that most miss due to a “slower” pace of travel. 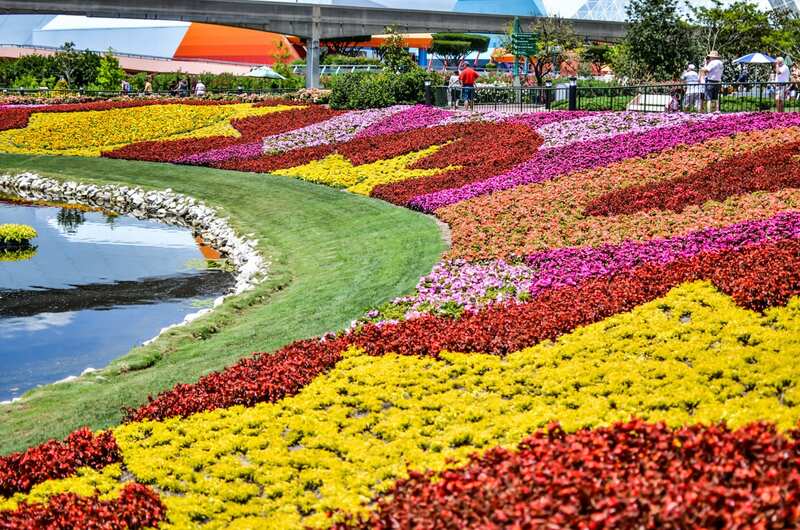 Check out more Walt Disney World Tips and why you shouldn’t miss Epcot International Flower and Garden Festival! I could keep going, but I’ll leave you with those ideas for going solo at Walt Disney World. There is just so much to do while alone at Disney. Don’t forget to take a stroll and breathe deeply in the magic of it all. An evening stroll on the Boardwalk to Yacht and Beach Club or around Port Orleans Riverside is breathtaking. Taking on the World alone might seem like a huge task at first. However, I think you’ll find some of the hidden gems Disney has to offer that will rekindle your love of the Parks all over again. I love being at Walt Disney World with my family. Solo at Walt Disney World trips create new memories and you get to see even more details of the magic. Should You Use a Stroller at Walt Disney World? Disneyland Parking Fee; Is It Worth It?